CARBONDALE, Colo. – In the early 1920s, Arthur Carhart turned his attention to the wolves vanishing in Colorado, the result of a methodical extermination conducted by the U.S. Biological Survey. Carhart had earlier earned some attention when, as a young employee of the new U.S. Forest Service, he had been assigned the task of plotting roads and cabin spaces along the shores of Trappers Lake, on the edge of the Flattops of northwestern Colorado. The young landscape architect did as he was ordered but returned to Denver with a radical idea. Leave Trappers Lake as it was, he suggested, without development. The idea took hold, supported by Aldo Leopold and others who had also expressed misgivings about the wholesale human reordering of nature. In time, Trappers Lake was called the cradle of wilderness. Despite this language, the book hints at an odd bit of respect for wolves, as is noted in a 2017 reissue of “The Last Stand,” edited by Andrew Guilliford of Durango, Colo., and Tom Wolf. Wolf, who grew up next to the then aging Carhart in Denver in the 1960s, says that Carhart over time had a dramatically different perspective. Colorado altogether has altered its perspective, if deep ambivalence remains. That ambivalence was evident at a recent meeting in Carbondale covered by The Aspen Times. Mike Phillips, a wildlife biologist, made the case for why wolves should be reintroduced into Colorado. He was the project leader for the wolf restoration effort in the Greater Yellowstone Ecosystem from its inception in 1994 until 1997. After that, he created the Turner Endangered Species Fund. Assuming 300 to 400 wolves are restored to Colorado, they would kill about 100 cattle and 130 sheep annually, he estimates. Local ranching families were polite but skeptical. Roz Turnbull, a Carbondale-area rancher with her husband, Tom, said she is concerned wolves will follow elk and deer herds into subdivisions and ranches during winter. Once habituated to these surroundings, they will create problems during encounters with humans. Phillips responded that wolves, as pack animals, simply do not venture around populated areas. “They aren’t cougars. They just aren’t,” he said. Earlier, he had presented data that showed wolves have posed no problems to people whether they be tent campers in Yellowstone National Park or residents of Minnesota, Wisconsin, and Michigan. The latter three states have an estimated 4,000 wolves. “For reasons I can’t explain, wolves don’t pose a threat to human safety,” he said. Phillips estimated that wolves would kill 7,500 elk in Colorado annually, compared to 48,500 taken by human hunters. Most wolves fail when hunting ungulates. Many get killed in the hunt when their heads are bashed by hooves. “It’s very hard to make a living in the woods with your teeth,” he said. Phillips advances the same argument in the reissue of “The Last Stand.” Gray wolves were native from Mexico to the high Arctic, he writes in an essay supplement to the book. They have returned to Yellowstone, obviously, but also to the area of Arizona and New Mexico. Missing is the Southern Rockies Ecosystem, the largest part of which is in Colorado. It has large amounts of public lands and large numbers of deer and elk. “This probably represents the largest and densest population of ungulates for wolves anywhere in the world,” says Phillips in the essay, co-written with Norm Bishop and Cheney Gardner. But another wildlife biologist, Tom Compton, who is also a rancher, argues in that same book that Western Colorado is different than Yellowstone. There are more people, he says. Too, he argues that wolves are unnecessary for a healthy, functioning system over all landscapes. Other management tools can achieve the same objective accomplished by wolves in Yellowstone. There, ungulates were overgrazing the landscape with myriad cascading effects. These arguments in Colorado began in the mid-1990s, about the time wolves were reintroduced into Yellowstone. At one such meeting, held at the county fairgrounds in Eagle, between Vail and Aspen, a wolf reintroduction proponent from Sinapu squared off with a long-time local rancher from Burns Hole, where the renegade wolf Lefty had been killed some 70 years before. The rancher heard the arguments, but then told his family’s story of being followed home during winter in a sleigh, the wolves close behind. Whether they were real wolves or mythical wolves, it’s hard to say. Nobody was carrying smartphones at the start of the 20th century, able to document every moment. JACKSON, Wyo. – The Gros Ventre Valley northeast of Jackson is the most wolf-dense landscape in Wyoming outside of Yellowstone National Park. It normally has 1,000 head of elk or more. But this year, the elk have disappeared, for reasons unexplained. That leaves wolves in a desperate pinch, reports Jackson Hole News&Guide. “We definitely get wolves that kill other wolves every year, but to have a whole pack shift territories and kill off a neighboring pack – at least kill a few of them – that’s different,” said biologist Ken Mills. In 2014 Mills had studied the valley for six weeks and found remains of 60 wolf-eaten ungulates. On a recent trip with the News&Guide’s Mike Koshmrl, the biologist found a different carcass, that of a 3-year-old wolf female. She had been killed by another wolf. GUNNISON Colo. – Gunnison is a mountain town, a half-hour away from Crested Butte for most travelers, but a university town, too. It has Western State Colorado University. The university has an undergraduate enrollment of 2,450, plus 450 employees. 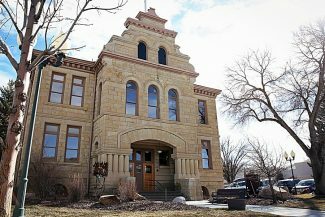 The University recently commissioned an economic study, which found that the institution is responsible for 20 percent of the economy in Gunnison County. The economist who conducted the study, Paul Holden, reported an average salary of $70,890, making it the highest paying employer in the county. 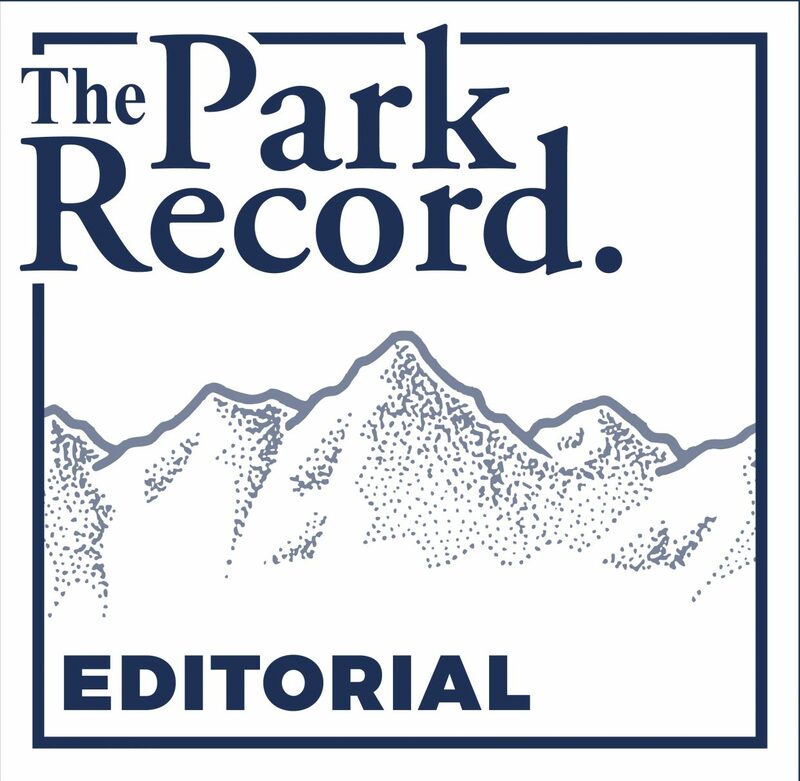 It’s also less dependent on the state of the national economy as compared to tourism or construction, two other important economic activities in the county, he told the Crested Butte News. STEAMBOAT SPRINGS, Colo. – The United States has been aging, but nowhere are the statistics so superlative as in mostly smaller mountain towns of the West. Newgeography, a website, reports that Steamboat Springs led all U.S. communities in the increase of the 65-plus population between 2010 and 2016. 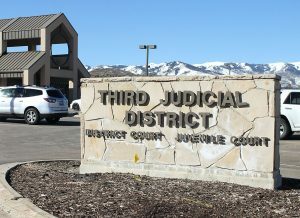 Edwards, an unincorporated community near Vail, was third, followed by Breckenridge at 4th and Summit Park, an unincorporated area in Utah near Park City. Heber, a town near Park City, was 7th. Mountain towns highest on the list also included Santa Fe, N.M, at 9th, Jackson, Wyo. at 11th and Hailey – downvalley from Ketchum and Sun Valley – was 12th. Glenwood Springs, Colo., and Bend, Ore, were 13th and 14th. Wendell Cox, a demographer from St. Louis who conducted the analysis, notes that nationally the share of the 65-plus demographic has increased 3.3 percent annually since 2010, more than four times the overall average of 0.7 percent. 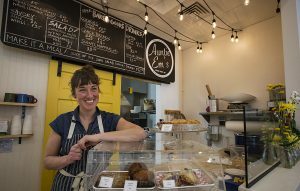 ASPEN, Colo. – For all its concerns about being overwhelmed by cars, Aspen has been doing a good job of minimizing the daily flood of cars and trucks. Traffic last year grew to 22,081 vehicles crossing Castle Creek Bridge, at the entrance to Aspen. This compares to 23,675 vehicles in 1993, the benchmark year. Before then, Aspen exceeded air pollution levels because of PM-10, a measure of particulates, into the air. Traffic had been a key factor. WHISTLER, B.C. – In Whistler, the municipality spends $80,000 a year on salt to spread on roads and sidewalks. It melts snow, reduces the risk of falling when walking on sidewalks, and allows cars to go more rapidly on roads. “Everyone wants a bare, wet road,” explained Tom Cloutier, of Miller Capilano, which has responsibility for maintaining the Sea to Sky Highway between Vancouver and Whistler. One researcher, Rick Relyea, a professor of biological sciences at Rensselaer Polytechnic Institute, conducted a study in New York state of impacts of runoff from use of road salt. He found the road salt can reduce the size of rainbow trout hatchlings by about 30 percent, influencing their ability to elude predators, and decreasing the number of eggs they lay. In Whistler, road crews use one part salt to 12 parts sand to provide abrasion and traction. The salt is in a brine. The salt brine stays in the pores of the road for a couple of days, but loses its effectiveness in rain or fog. But the brine is less likely to get splashed onto the shoulder of the road. One alternative is beet wastewater left over from processing of sugar beets. The carbohydrates or sugars make it more effective at lower temperatures than salt or brine alone. This reduces the melting point of the ice to less than minus 20 degrees C (minus 4 degrees F), from the minus 10 C (14 degrees F) of salt brine. But the Conversation says beet wastewater, pickle juice, and other alternatives have downsides. There’s the smell. But added sugars to aquatic ecosystems may encourage bacterial growth. BANFF, Alberta – Banff, like other towns across Canada, is starting to talk about what legalization of marijuana will look like. But it is unlike most others in that it is located entirely within a national park. In most cases, the province will dictate the parameters available to local jurisdictions for legalization. In Banff, they are subject to the unique legislative framework that exists in the incorporation agreement for the town with the Canadian government. What Alberta has decided is that marijuana can be consumed in public in the same places where tobacco is used. That use is limited by some exceptions, such as near schools, hospitals, and skateboard and bike parks. The later are efforts to limit second-hand exposure to children. Unlike Ontario, Alberta will not allow sale of cannabis alongside alcohol, tobacco, or pharmaceuticals. In Oregon, cannabis sales have already begun in the mountain community of Bend, located near the base of Mt. Bachelor. Local cannabis retailers report sales trends similar to those identified in a new statewide report delivered by the Oregon Office of Economic Analysis. Prices are falling, but the percentage of the population using marijuana is rising. This has produced an overall increase in sales, according to the report. About 13 percent of those aged 18 and older in Oregon had reported using marijuana in the previous month before legalization, compared to 16 percent after legalization began. The Bend Bulletin talked with Mark Capps of Oregon Euphorics, a local cannabis store. There, the price of dried marijuana flower fell about 30 percent in the last six months. “There is a race to the bottom right now,” he said. The Colorado Department of Revenue reported $1.51 billion in sales of medical and recreational cannabis, edibles, and concentrate products in 2017. That compares with $1.3 billion in sales in 2016 and just less than $1 billion in sales in 2015, reports The Denver Post.